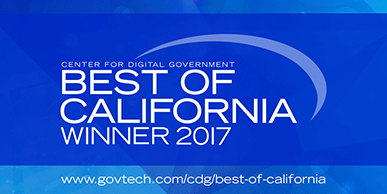 The Hewlett Packard (HP) CalWIN team is one of a few exceptional companies honored by The Center for Digital Government as top integrators of technology solutions for government in 2011. 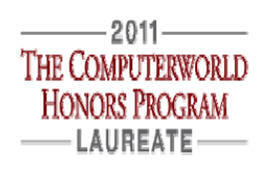 WCDS Consortium Receives Computerworld Laureate Award for Second Straight Year!!! CalWIN was honored with a prestigious award for innovative use of Oracle products at the 2010 Oracle OpenWorld in San Francisco. CalWIN was recognized for enhancing its overall technical environment as a result of the 2009 Hardware and Software Upgrade Project and the ongoing 2010 strategic initiative efforts. Steve Middlekauff, on behalf of the WCDS consortium, accepted the award (officially called the 2010 Oracle Fusion Middleware Innovation Award) at an Oracle OpenWorld ceremony on Tuesday, September 21st. The HP CalWIN account team used a variety of Oracle products to achieve the award-winning enhancements. Products used in the solution include Oracle's Tuxedo Multi-Processor (MP) domains and Real Application Cluster (RAC). The team also used the Oracle Service Bus (OSB) and WebLogic Application Servers featuring the WebLogic Tuxedo Connector (WTC) to create a Service Oriented Architecture (SOA) layer tying the CalWIN back-end and front-end together. The collective result of these enhancements is a more flexible, scalable and available CalWIN that is well positioned to meet future business needs. The award adds to CalWIN's growing reputation for development of innovative and effective technical solutions to business challenges. 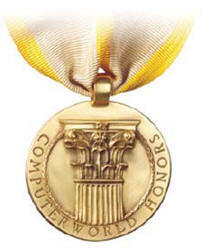 CalWIN has been recognized by Computerworld for its technical innovation. In an announcement received the week of March 23rd, CalWIN was designated a 2010 IT Laureate. CalWIN was selected by the Computerworld Information Technology Awards Foundation because "the CalWIN Case Study provides a comprehensive overview of the collaborative effort employed to develop, implement, maintain and enhance technology solutions that support a broad base of Health and Human Services business needs to provide accurate client services in a timely manner within an ever evolving economy." The Foundation called CalWIN an "outstanding achievement." In its press release, the Foundation quoted from the CalWIN Case Study, stating "success is not measured by a single person's effort, but can be measured by a collective group of highly motivated individuals that achieve amazing things together. Being part of the Computerworld Honors Programs is a way to say thank you to all of those individuals who make CalWIN possible and for a job well done."